Chara, born on January 13, 1968 in Kawaguchi, Saitama, is a Japanese singer, songwriter and actress. Her real name is Satou Miwa. After sending a demo tape to Sony Music Japan in 1990, she landed a record deal and released her first single, “Heaven”, in 1991. In 1990, Chara (at this time, she was known only by this nickname) sent a demo to CBS/Sony which caught the attention of Masahiro Ohara and landed her a deal with EPIC Records and a year later she debuted with a show at Club Quattro in Tokyo. At this time the Japanese music scene, tired of straight and narrow artists, was looking for something new and exciting. Chara fit the bill perfectly, breaking common conventions by not using her full Japanese name and becoming a pioneer for the J-Pop phenomenon. Chara’s first single was released in 1991, entitled Heaven. Around the same time, she also became the host of a midnight music television show, where her eccentric personality formed her a reputation. Her first album entitled Sweet debuted later that year. The album had deep roots in African-American funk which gained Chara a cult following. The following year, she released her second album Soul Kiss. 1994 would be a significant year for Chara. At this point her fan base was swelling and the success of her first three albums translated over to her appearing in high profile television advertisements for Suntory and cosmetic giant Shiseido. However, the pinch of the industry started to take its toll on Chara and during a trip to New York, she had an epiphany in a gospel church, where she decided to take more control of her music and image and look more deeply at her roots in Kawaguchi and the elements that defined her music. This led to her fourth album, released during that year, entitled Happy Toy. This year would also mark the year that she made her debut as an actress in the Shunji Iwai directed movie Picnic. Finally, 1994 would also mark the year that she married actor Asano Tadanobu, whom she met during the filming of Picnic. A short hiatus followed this as she was expecting a child. In 1995, Chara returned with a whole new direction for her music due to the huge changes in her life. Her second movie with Iwai was released this year, earning her a Best Actress award at the Japanese Academy. The movie featured Chara fronting a fictional band called Yen-Town Band with whom she released an album entitled Montage. The Album featured songs performed in the movie and used a mixture of both Japanese and English, proving that her singing and songwriting could transcend language barriers. In 1996 she released her smash hit million-selling Junior Sweet, which contains many of her greatest hits. In 1999, she released her follow-up, Strange Fruits, and gave birth to her second child, a boy she named Himi. Madrigal was released in 2001 with two tracks co-written by Japanese American James Iha of The Smashing Pumpkins. Single Sukaato (Skirt) was accompanied by a music video featuring both Chara and Iha, the latter impersonating a hunter in a forest. Chara left EPIC/Sony Records, after producing 13 successful full length albums with them, to become an independent artist in 2005. She continued to produce music with Starchild Productions for a time being, however she’s only released one album during that time, and decided to go back to the world of major labels by signing a contract with Universal Music. She has since released three singles, which culminated in the release of a studio album entitled UNION on February 28th, 2007. The album debuted at #4 on the Weekly Oricon Sales Charts the following week. One of the things that defines Chara’s music is her singing voice. It is often described as sweet and whispering like a child’s, yet forceful and sincere. Despite her very distinctive singing voice, Chara considers herself a musician first and foremost; proficient with instruments such as the piano, drums, acoustic guitar, electric guitar, synthesizer and tambourine. There are common themes to a lot of her music, including motherhood, innocence, love, beauty, melancholy,and cheerfulness. 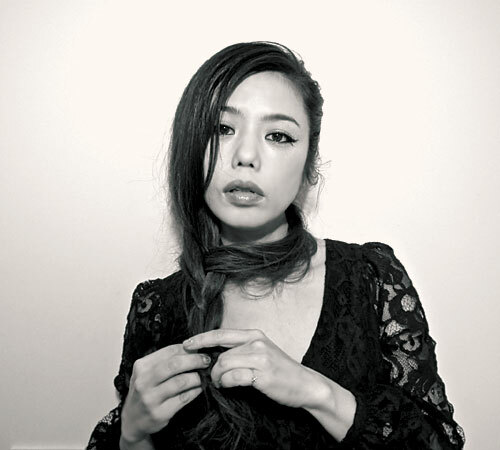 It is hard to define Chara’s music as any one genre; Chara often incorporates a number of different styles into her music, resulting in music that ranges from light pop numbers to more dark and stirring pieces. In her early career the African-American funk element was quite apparent, but after the birth of her children, her life and music took a new focus, allowing her to write what is considered some of her best music in the years to come.